Canadian born youth between the ages of 12 and 17 are more likely to be overweight or obese than are their peers who are immigrants. 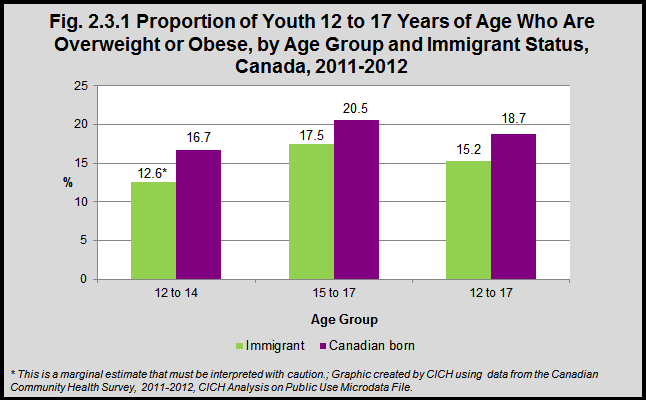 In 2011/12, 19% of Canadian born youth were overweight or obese compared to 15% of immigrant youth. Older youth are more likely to be overweight or obese than are younger youth. Among both immigrant and Canadian born youth, young men are more likely to be overweight or obese than are young women.